At a recent engineering show-and-tell in our offices in the Empire State Building, while I watched demos of a new prototype from one of our backend infrastructure teams and learned about the latest creative tools for video, it hit me. We’d done it. We have quietly built, in New York City, a full-capacity R&D organization capable of tackling any challenge across LinkedIn. As the NYC Engineering site director, I also oversee the native video team, which launched on the platform last year. It’s been incredible to see the growth of this office and team over the last few years. While I’m excited for all the work that is to come, it’s also worth taking a step back to reflect on how we got here and what’s important to our NY-based engineering teams. As mentioned, LinkedIn’s New York office has been around in some form or another for quite a while, but it wasn’t until 2011, under the leadership of LinkedIn’s editor in chief, Dan Roth, that things really started to pick up steam. 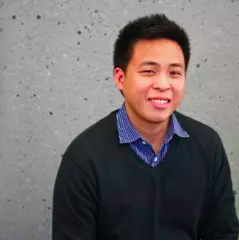 Dan was focused on building an award-winning editorial team in the heart of the media world — and since then, the editorial ranks have grown not just in NYC, but around the world. By 2013, the editorial and engineering footprint of the NYC office was fully established. On the engineering side, we acquired Esaya, whose service became the foundation for what is now our platform team. Since then we’ve been aggressively expanding the NYC Engineering team to allow us to bring in new consumer-facing products and address additional technical challenges. This has also meant that we’ve started bringing in all R&D functions, such as SREs, data engineers, and so on. New York City has a very deep pool of engineers with strong experience in adtech and media, so they can build out delightful user-facing features as well as highly-crafted infrastructure platforms. This aligns perfectly with our mission for NYC Engineering to be a full-capacity R&D organization capable of tackling any challenge across LinkedIn’s business and building out the product on all fronts. Today, NYC Engineering is thriving. LinkedIn NYC is the home of several key Engineering teams that solve a wide range of complex technical problems and create economic opportunity for every member of the global workforce. Native Video: This team built the ability for our members to upload and watch videos on LinkedIn, and they are constantly iterating on exciting new features. Since the launch of native video on the platform last year, we’ve introduced updates such as unique video frames and filters, just to name a few. Content Ingestion: Allows third-party content to be consumed on LinkedIn. For example, this could be a Forbes article or YouTube video. This team powers our sharing ecosystem, and capabilities such as People In The News. Data Engineering: The mission of the NYC data team is to establish and improve the quality, relevance, and richness of the Economic Graph with the goal of increasing economic opportunity for our members. LinkedIn's business problems are tackled with natural language processing (NLP), data mining and machine learning, and information retrieval technologies. Gateway as a Platform (GaaP): GaaP’s mission is to “Restli-fy the internet.” GaaP provides a standardized, secure, and reliable way for services within LinkedIn to communicate with external resources over the internet. News and Editorial: LinkedIn serves an integral role in the professional world: to spark and nurture conversations that help connect people to opportunity. Every day, millions of posts and videos and hundreds of thousands of articles get published on LinkedIn, with people in every stage of their career asking advice, talking about how they do what they do, or discussing what they see coming next. This team is tasked with building features and tools to help ignite those conversations. Personal INTeraction Superblock (PINT): The PINT team’s mission is to "Enable members to grow and nurture their professional networks by syncing and storing their third-party contacts and social interactions." Ingesting third-party data enables our members to bootstrap their professional networks when they join the platform and to nurture their professional networks by connecting and engaging with people they are already interacting with outside the LinkedIn product. Sponsored Video: This team is focused on initiatives surrounding sponsored video, allowing our advertisers to create diverse, beautiful, and meaningful content, and then to target that content to LinkedIn's members to maximize engagement and bring in revenue. By doing this, we can help drive the LinkedIn business forward while also delivering our members highly-relevant and actionable information. If we succeed, it's a win-win! Site Reliability Engineering (SRE): The NYC SRE Team is responsible for the availability and uptime of all features and platforms built here in New York. This means the team is responsible for production incidents, managing capacity, identifying bottlenecks in the services, and building tooling to help debug and diagnose production issues for our services. NYC SRE has built tools like the traffic status bar (to monitor traffic to our sites), a CLI for user access to our production fleet of hosts, and contributions to resilience engineering at LinkedIn. Having incredible engineers, product managers, editors, designers, data scientists, and marketers under one (sky-scraping) roof means that we craft our own path. When I moved to NYC, I made a pact with those who started with me that we’d build products here that help LinkedIn achieve its vision and mission — not act as a satellite office. Every day, with every line of code, every new product, every tool, and every conversation we foster, we achieve — and surpass — that goal. But we’re not just about work. 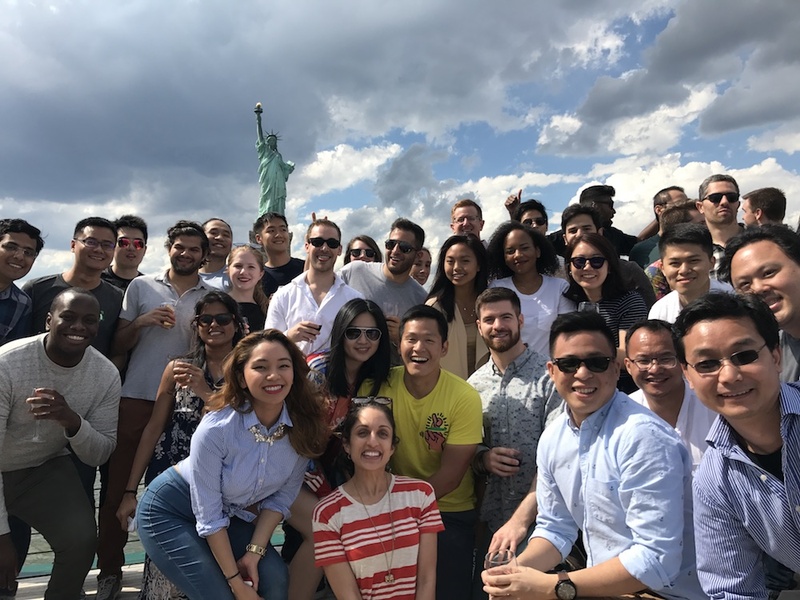 We’re very proud to participate in a number of city-wide endeavors to promote the growth of the developer community in New York, as well as organizing internal company events to highlight diversity. Tech Talent Pipeline: A collaboration with the Mayor’s Office to help companies identify qualified tech talent, as well as to assist the candidates themselves in finding open roles. As part of this program, on an ongoing basis several engineers conduct mock interviews and give guest lectures at CUNY. Women In Tech: As part of the larger WiT organization within LinkedIn globally, the LinkedIn NYC office is home to the WiT chapter in New York City. We hosted our first WomenConnect event here last year and are looking forward to this year’s event this summer. Tech Talks: This spring we created a meetup event series called LinkedIn NYC Tech Talks. The goal of these talks is to genuinely engage with the tech community in NYC to share and learn from each other. The meetups occur in our office at the Empire State Building and the spectrum of topics will include Ember, web, mobile, distributed systems, ML, AI, computer vision, video technologies, adtech, etc. Join our group for more updates on upcoming events. WiTNY: As part of a collaboration with CUNY and Cornell Tech, we welcomed three “Winterns” to the native video team for a three-week winter internship at this start of this year. Celebrating Together: We often have celebrations in the office that showcase our cultural diversity, such as our recent Chinese New Year celebration and our Office Olympic games in February. We also regularly organize team activities like our recent R&D Show & Tell and our pizza making competition. We are deeply committed to growing our NYC eng team. Each week seems to bring new and exciting technical challenges for our engineers to work on, and we hope you’d like to be a part of the great work we’re doing for our members. Join us in helping realize our company vision of creating economic opportunity for every member of the global workforce. Interested in seeing more updates on this office? Follow #LinkedInNYC.